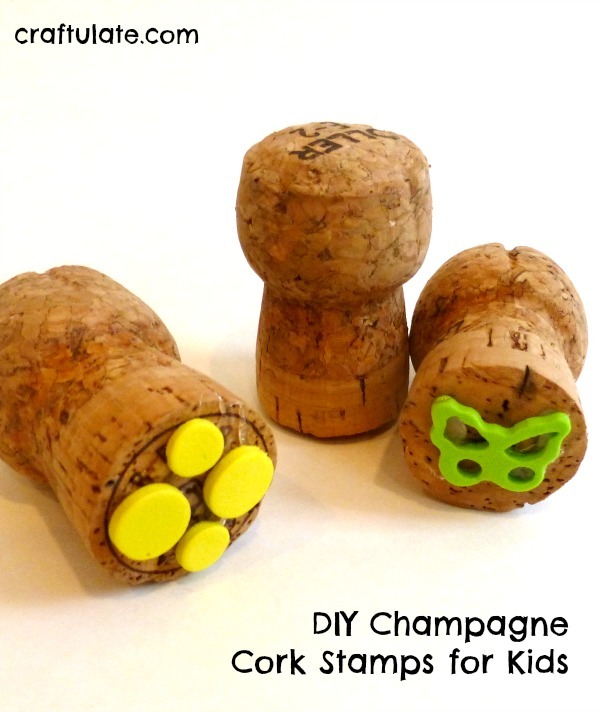 These champagne corks stamps are easy to make and perfect for little hands to grip! 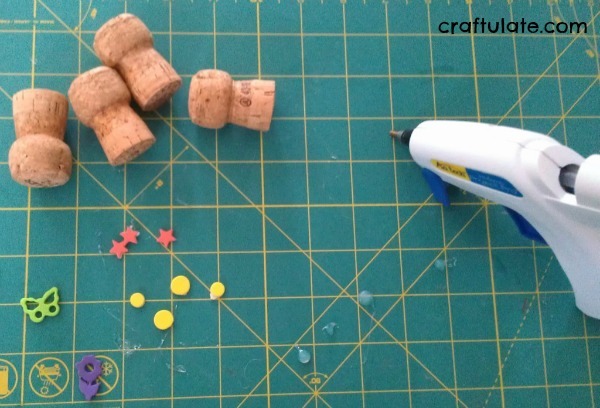 Making the stamps is SUPER easy – just glue the foam shapes to the base of the cork. This is a job for an adult. 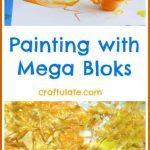 Note: if the foam shapes are thin, you might want to add two or three of the same shape in layers to make the stamp deeper. 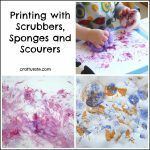 We tried these stamps out in several ways! The first was with a little ink pad. 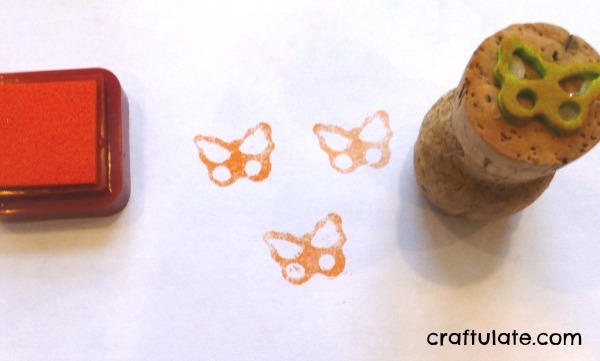 Then we used the tips of the dot markers to transfer ink to the cork stamps. 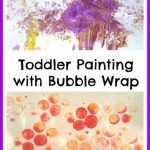 Finally, we spread a thin layer of paint onto a paper plate, and dipped the stamps into the paint. These cork stamps can totally be customized, depending on what foam shapes you have available. 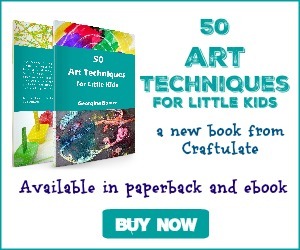 You could even use foam letters – but remember to glue them on back to front, so that they print the right way round! 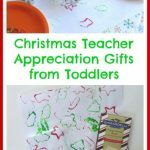 This post was originally written for Answers.com – but as they randomly removed it I thought I would publish it here instead!